Inspired by the bronzed glow of sunset, this design Golden Sunflower by Alexander K is versatile and would be suited to any wedding. The real gold foil adds elegance to an otherwise casual design and is perfect for couples searching for sunflower wedding invitations. 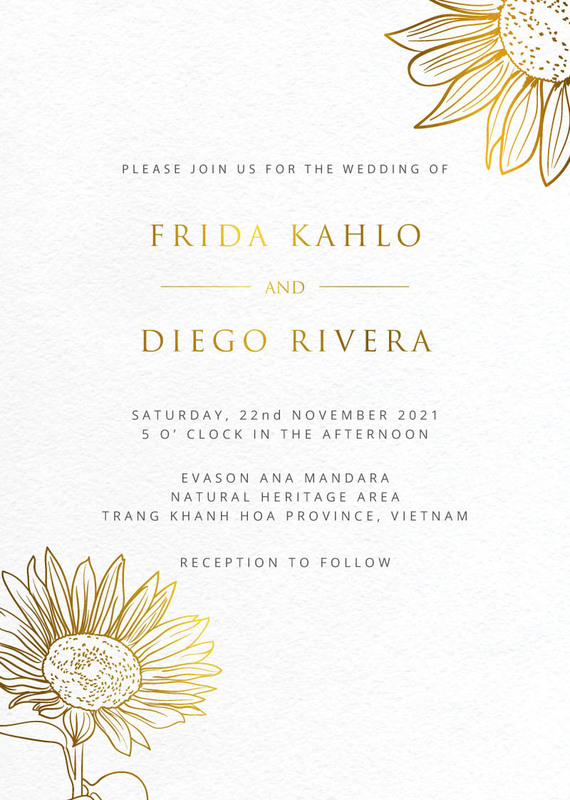 Choose this stunning design for a sunflower themed wedding invite that is neutral and simple.